Treasury bills worth N45.7 trillion were transacted on the floor of the FMDQ OTC Market from January 2018 to August 2018, Business Post has learnt. 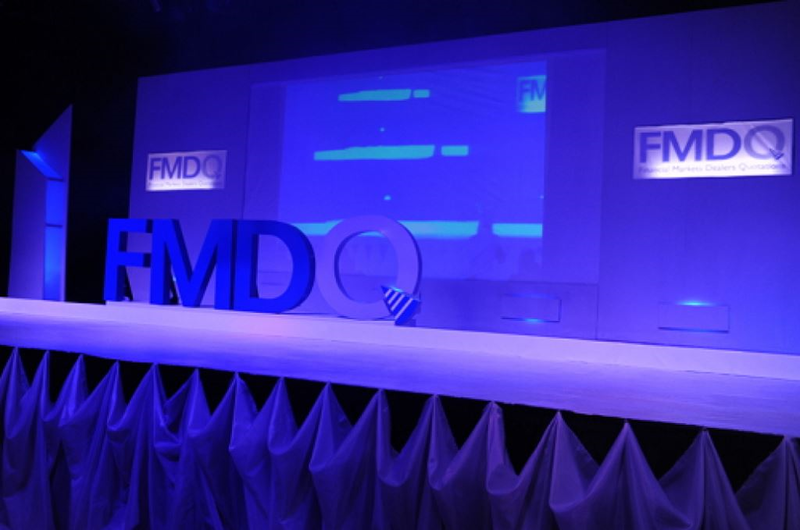 According to the data obtained from the FMDQ OTC Market Turnover Report, this represents 39.48 percent of the total market turnover for the period under review, which stood at N115.7 trillion. In addition, foreign exchange market transactions comprising Spot FX and FX Derivatives accounted for 37.51 percent, whilst Repos/Buy-Backs product categories accounted for 15.39 percent of overall market turnover. Bonds and Unsecured Placements & Takings, which contributed the least to overall market turnover, accounted for 7.08 percent and 0.54 percent respectively. In value terms, Forex recorded N28.3 trillion, forex derivatives had N15.1 trillion, FGN Bonds N8 trillion, with other bonds at N101.4 billion and Eurobonds at N50 billion. Repurchase Agreement/Buy-Backs accounted for N17.8 trillion, Unsecured Placements/Takings recorded N601.7 billion, while Money maket derivatives had N25.6 billion. The top 10 Dealing Member (Banks) accounted for 76.71 percent (N88.74 trillion) of the overall turnover in the market, with the top three accounting for 62.27 percent (N59.70 trillion) of this sub-section of the market. Stanbic IBTC Bank Plc, Access Bank Plc and United Bank for Africa Plc were the leaders in the value traded for the overall over-the-counter (OTC) market, ranking 1st, 2nd and 3rd respectively. The FMDQ OTC Market Turnover Report shows the turnover on all products traded on the FMDQ secondary market: Foreign Exchange (FX), Treasury Bills (T-bills), Bonds (FGN Bonds, other Bonds (Agency, Sub-national, Corporate & Supranational) & Eurobonds)) Commercial Papers and Money Market (Repurchase Agreements (Repos)/Buy-Backs and Unsecured Placements/Takings). These figures exclude primary market auctions in T-bills and Bonds. The data, collated from the weekly trade data submissions by FMDQ Dealing Member (Banks), represents trades executed amongst the Dealing Member (Banks), Dealing Member (Banks) & Clients, and Dealing Member (Banks) & the CBN.